Few parts of a Walt Disney World Resort vacation are more memorable than standing before Cinderella Castle to watch nighttime fireworks with your family or friends. 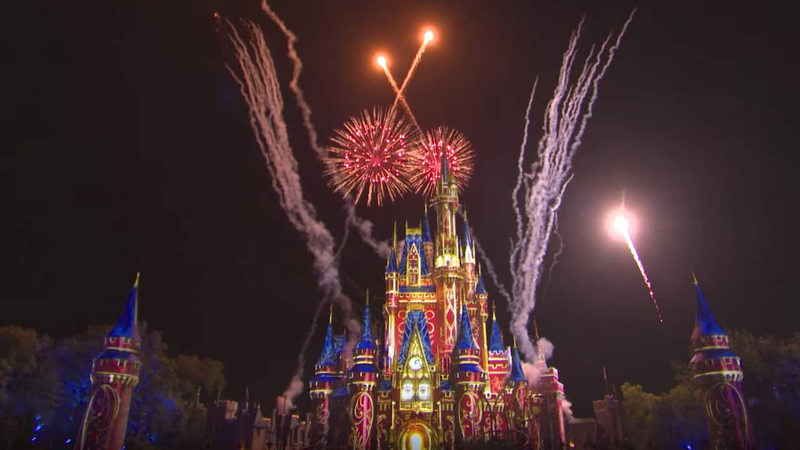 Starting May 12, “Happily Ever After” will take its place in Disney Park history to become the third regular nighttime fireworks show to debut ever at Magic Kingdom Park. As we’ve shared over the past few months, this new spectacular will combine the latest in fireworks, pyrotechnics, lasers, hand-drawn animation, original music, a new theme song and much more. All of these elements will work together to tell a heart-tugging story about the importance of chasing your dreams, no matter what, and finding your happily ever after. Our cameras were on-hand this week as the team launched one of the first run-throughs of the show in preparation for the May 12 debut. Check out the video above for a sneak peek. For more on the music, animation and projections used in the show, check out our list of behind-the-scenes looks below. I’ve watched the evolution of these nighttime spectaculars, and they keep getting better. We’ve only seen snippets in these videos, and nothing in them suggests the trend isn’t continuing. I’m coming down in July to celebrate 2 50th wedding anniversaries and a High School graduation with an extended family that has grown up with WDW since the 70’s. I think this will just add to that special time. We can’t wait to see this new show when we go there in January! Disney is AMAZING! Can’t even image the cost to put this entire program together and bring it to life every night. This is why I never complain about the cost of Disney Tickets…it’s the cost of Disney Magic! I’m sorry, but I loved Wishes and “wish” it could stay. Disney has taken away the two light parades and now Wishes is gone. I know the thinking is they have to keep renewing and keep things fresh. However, seeing crowds of people watching Wishes and the parades tells me there are plenty of fans who feel the same. I guess Tinker Bell’s flight is gone as well. I’ll check the videos that come out, but I’m pretty sure we’ll be hitting the rides while “Happy Ever After” is showing on the Castle. This is the best video you’ve ever posted – the perfect mix of the actual event blended with behind the scenes glimpses. I just can’t imagine how cool it would be to sing lead on a track like that and then to experience it in the park. I can’t wait to see this for myself in September! We are planning our first trip with our first grand daughter for this Christmas, and listening to Disney music always gets me in the best mood! We will celebrate our 25th anniversary, too, so happily ever after fits! Thank you, Disney, for always being creative and reminding us that its wonderful to see it through kids eyes! I was so sad to hear that “Wishes” was going away. Like comment from Melissa, I too have a 15 year old daughter and I believe we have watched Wishes every year since she was 5! We may have missed one year, when we went to Disneyland. I can’t tell you how many times I tried capturing Tinker Bell’s flight in photos of. Ideo, only to get too excited and miss it! I started crying when we watched one last time in March. My daughter reminded me we had another night in Magic Kingdom LOL! So we watched together one last time. I look forward to seeing “Happily Ever After” with her too. “Disneyland will never be completed. It will continue to grow as long as there is imagination left in the world.” I will always hold a special place for Wishes, but the beautiful thing about Disney Parks is that they are ever changing. So excited to experience this new magic! We will be celebrating Mothers Day weekend at Magic Kingdom (Saturday the 13th). It’ll be a family trip of 24 of us. So excited when I found out about this!!!! And so happy we’ll be there on opening weekend!!!!! Viva the Magic! Wishes will always live on in my heart. It played a significant role in my personal love story. I will never forget the night my husband proposed to me in the rose garden as When You Wish Upon a Star played. It was all of my dreams come true. It is so sad to say goodbye to this wonderful fireworks show but I can’t wait to see Happily Even After! That’s what Wishes gave me after all. Thank you Disney World for giving me a lifetime of wonderful and magical memories and to all the amazing cast members who make it possible!! I was blown away by “Ignite the Dream” at Shanghai Disneyland Park last month – this looks like it might live up to it! Checking in on May 12. 27 years ago we started our own “Happily Ever After” and we love celebrating our anniversaries at WDW….What a way to start our Anniversary trip this year! The pre-view looks great! We will be visiting with family on Aug 28. The park closes at 9pm that night, will “The Happily ever after” show be on that night? I sure hope so!! 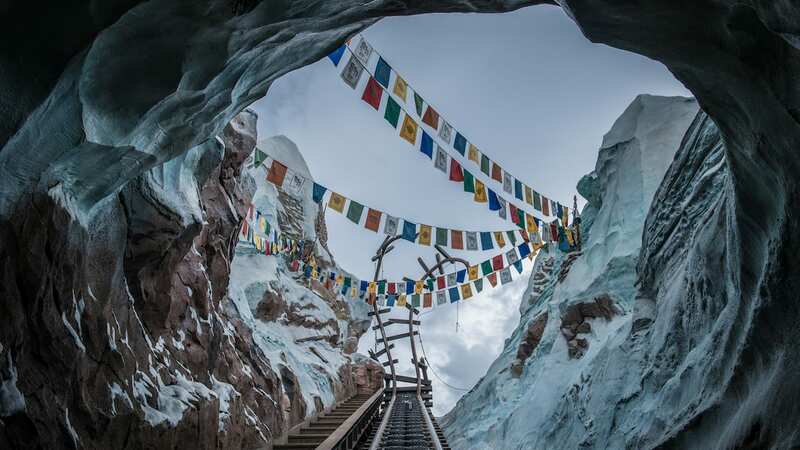 Will Happily Ever After still be able to be enjoyed (including the music) from Narcoossee and the Polynesian? We’re bringing our 3 year old grandson on his first Disney trip this Fall. I can’t wait to see this show and introduce the little guy to the Magic Kingdom and the excitement of being in Disney World. This preview brought a few tears to my eyes and I’m really looking forward to seeing Happily Ever After! Thank you for a wonderful preview. November cannot come fast enough! Happily Ever After looks great but still so sad to see Wishes go… Just surprised my 15 year old daughter with a quick 2 day trip next week to see Wishes one more time! (Thank goodness for some cheap flights and APs!) The first time we saw Wishes she was 4 and we’ve loved it ever since! I’m so excited to celebrate my birthday with the release of this new show and watch it from the Celebration at the Top – Savor, Sip, and Sparkle party! Sweet! That sounds like a terrific birthday. This preview gave me all the feels. I love WISHES, but I welcome the new. Don’t we all want a Happily Ever After?! That’s a great attitude, Danielle! Four times I have watched this preview and four times it made me cry. The music is beautiful…a must own soundtrack to add to my Disney collection. It looks like Disney did an amazing job with this show. Being a replacement for the much beloved Wishes, it has very large shoes to fill. I can’t wait to see this in person, next year! I hope you enjoy your trip (and the show!). I love the theme song, too! This looks like it is going to be another phenomenal show! Wishes was an extremely nostalgic show for me; I cried each time we saw it. Watching this 3min video gave me chills, and when I saw Tink flying at 2:42min I cheered! Can’t wait for our next trip to experience this for the first time with our kiddos! Wow! I was really sad to hear Wishes was leaving, and shed some tears watching the live stream of the show last month. That said, I have to admit I got a little misty-eyed again watching this sneak peek and cannot wait to see it next month! I’m addicted to the theme song already! I think people will be so surprised by this show. It will be amazing, as Wishes was. Thanks, Ashe. What impresses me most is the joy you can see on the face of just about everyone involved in the making of “Happily Ever After” (in the video above). The team has truly poured their love for Disney, plus all of their skills and expertise into the creation of this show. Wow! We had a very memorable last viewing of Wishes in March and can’t wait to get back in July for a very memorable 1st viewing of Happily Ever After! Thank you for the sneak peak! I’m happy you liked it, Michael.